in the Naturpark Zittauer Gebirge! This grand half-timbered house is located directly opposite from the holiday home and dates back to the year 1833. Here, a comfortable holiday flat is waiting for its guests. Very spacious and cozy, with a nice view on a cobbled street, the slowly flowing water of the river “Mandau” and the old bridge “Schmiedebrücke”. A wonderful holiday flat, modern, clean, bright, excellently equipped. Courteous and friendly landlords. Lots of space for the entire family. 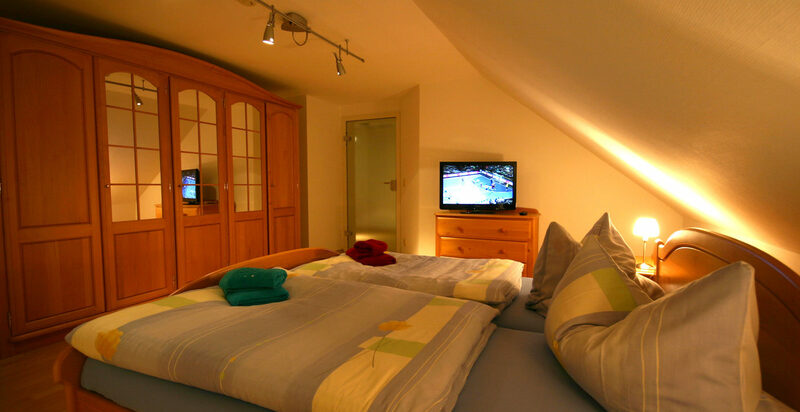 Perfectly equipped holiday apartment, absolutely recommended! We felt super comfortable and enjoyed our time very much.